an increasingly high-risk operational environment. 2. The nature of the data required to be retained1 differs depending on the type of telecommunications services offered. Service providers are required to secure the retained data by encrypting it and protecting it from unauthorised interference or access. 3. The data retention obligations came into effect on 13 October 2015. Providers that were fully compliant by that date were able to submit a Statement of Work outlining the steps they had taken to become compliant. Otherwise, an 18 month implementation period enabled service providers to apply for approval of a Data Retention Implementation Plan, or obtain an exemption from, or variation to, the data retention obligations. 5. The program was intended to make a one-off contribution towards existing service providers’ costs in adjusting to meet the new obligations, supporting the industry to adjust to a new regulatory baseline. New entrants to the market were expected to be compliant and, as such, ongoing funding was not considered necessary. grant reporting had been finalised and final payments made to 170 providers. One payment of $22,089 remains to be made. 8. The implementation period ended on 13 April 2017. From that date all service providers must be fully compliant with their data retention obligations (except to the extent that they have an approved exemption from, or variation to, those obligations). PricewaterhouseCoopers (PwC), with whom AGD entered into various consulting contracts. 10. In May 2018 responsibility for the DRIGP was transferred from AGD to the Department of Home Affairs (DHA). DIIS retained responsibility for administering the grant funding agreements (at the time of the transfer, this consisted of two remaining grant payments). The findings, conclusions and recommendations made in this performance audit report are directed at AGD as: the program was designed and implemented under the grants administration framework of that department; and AGD was responsible for the approval of $122.4 million in grant payments under the program. the Parliamentary Joint Committee on Intelligence and Security’s February 2015 advisory report on the Bill to implement mandatory data retention included a recommendation on the design of the model for awarding grant funding to service providers. 12. The objective of the audit was to assess the effectiveness of the Attorney-General’s Department’s design of the Data Retention Implementation Grants Program, including its performance monitoring, reporting, evaluation and assurance arrangements. Were sound performance monitoring, reporting, evaluation and assurance arrangements established? the proportion of costs being met by the Australian Government increased to 79 per cent compared with that expected when funding was awarded as a result of actual costs reported by providers being, in aggregate, $39.9 million less than had been estimated by providers when they applied for funding. This included 26 providers where the Australian Government fully funded the data retention implementation costs reported by those providers (involving $23.0 million in funding) notwithstanding that the program guidelines had stated that the Australian Government would not fully fund any provider. On average, the Australian Government contributed 82 per cent towards each provider’s reported actual costs. the grant reporting arrangements, and their administration, provide a low level of assurance. 17. Options considered for providing funding to industry were a grants program, licence fee reductions, concessional loans or taxation changes. 18. Attorney-General’s Department contracted a consultant to estimate the capital costs to industry of implementing mandatory data retention. A February 2015 estimate (of between $188.8 million and $319.1 million, with a mid-point of $254 million) informed a decision that the Australian Government would implement a grant program to support 50 per cent of the mid-point estimate. Better data was obtained from industry in early 2016 through the grant application process. Implementation estimates provided by eligible providers totalled $198.5 million, or $55.4 million lower than the mid-point of the earlier estimate. Attorney-General’s Department decided that the consultant should not reflect this data in its final report and the amount of grant funding made available was also not revised. The data from eligible providers that applied for funding would have supported a reduction of $28 million (22 per cent) in program funding whilst still meeting 50 per cent of estimated industry costs (as earlier agreed by the government). 19. Clear and comprehensive program guidelines were developed and issued. 20. In a number of respects, the departmental advice on the program funding model was well considered. The advice addressed the risks associated with basing grant amounts on provider cost estimates, and proposed that these risks be managed by obtaining data from applicants that would allow ‘typical’ implementation costs to be estimated as a key input to determining individual grant amounts. A key risk that was not adequately addressed related to the potential for government estimates of typical implementation costs for individual providers to be greater than the provider’s own estimate of those costs. 21. The program funding model was not used to determine each individual grant amount. Application of the funding model would have seen many telecommunications service providers receiving grant amounts well in excess of their estimated costs. Minimum ($10,000) and maximum (80 per cent of the provider’s cost estimate) grant parameters were established to prevent this result. An iterative process was then employed to re-allocate $88.4 million in grant funding to other eligible applicants. 22. Eligible telecommunications services providers were awarded $128.4 million in grant funding. This represented 65 per cent of the aggregate of those providers’ cost estimates included in their applications for grant funding. There was no documented consideration, or departmental advice to the Attorney-General, about the merits of constraining the amount of grant funding awarded to 50 per cent of estimated costs (on an industry-wide basis). Limiting grant expenditure to 50 per cent of the aggregated estimated costs of industry applicants would have saved $28 million in Australian Government expenditure. 23. As at the beginning of June 2018, reporting from providers awarded grant funding is that the cost to industry of implementing mandatory data retention was $154.7 million. The Australian Government paid grants of $122.7 million to those providers, meaning the Australian Government has met 79 per cent of industry’s reported upfront capital costs of achieving compliance with the data retention obligations. 24. There was no probity plan in place for the program. An assurance plan was prepared, but it was not implemented in full. In addition, the risks associated with conflicts of interest were not well managed, particularly in relation to the consulting firm contracted to assist with the design of the program and with the assessment of applications for funding. 25. The program risk assessment concluded that the program represented a medium risk and a low risk grant agreement was used, this was not inconsistent with guidance. At an individual provider level, one-sixth of providers were identified as presenting a higher risk, to be managed through additional reporting. 26. There were considerable delays in the execution of funding agreements, resulting mainly from the re-issuing of incorrect funding agreements. It took 10 months for all funding agreements to be executed, and all first instalment grant payments to be made. Some funding recipients received first instalment grant payments after data retention obligations came into effect on 13 April 2017, while other providers entered into funding agreements after this date. Delays were incurred due to the need to rectify the issuing of incorrect funding agreements. 27. The reporting arrangements, and their administration by the Department of Industry, Innovation and Science, relied heavily on statements made by funding recipients, and therefore provide a low level of assurance. 28. There is insufficient evidence yet available to demonstrate that the providers awarded grant funding are meeting their data retention obligations such that law enforcement agencies are now able to obtain the data they need. An effectiveness review is to be conducted in 2019. Where the Australian Government decides to make a contribution to project costs (rather than fully fund costs) AGD design and administer grant programs in a way that reflects and preserves the intended cost sharing arrangements. Department of Industry, Innovation and Science response: Agreed. AGD design grant programs for probity, including putting in place appropriate mechanisms for identifying and actively managing conflicts of interest. When employing a grants hub to contract with entities to deliver grant programs on its behalf, AGD agree with the department providing the hub service performance indicators relating to the accuracy and timeliness with which grant agreements will be drafted, negotiated and finalised. AGD determine the nature, content and frequency of reporting requirements for grant programs proportional to the risks involved and policy outcomes being sought. 29. A copy of the proposed audit report was provided for comment to AGD, DIIS and DHA. Comments on the proposed report were provided by the three departments and are included at Appendix 1. Summary responses were also provided by AGD and DIIS, as follows. The Attorney-General’s Department welcomes the ANAO’s audit report into the Data Retention Industry Grants Program. The department accepts the four recommendations relating to program design and delivery, and the management of conflicts of interest. The department is committed to best practice in grants administration, and to continuous improvement in our delivery of such programs. We have commenced implementation of the recommendations and will continue improvements for any future grants programs. The Department of Industry, Innovation and Science (the department) acknowledges the ANAO’s report on the Administration of the Data Retention Industry Grants Program. The department notes that the program presented a number of challenges given that key design decisions had already been reflected in legislation prior to this department’s involvement. This placed a number of constraints on our delivery of the program, required complex administrative processes to be put in place to support its delivery, and reduced opportunities for streamlining and adoption of standard business processes that exist through the Business Grants Hub. 30. An extract of the proposed report was provided to PwC. Grant funding is provided to achieve desired outcomes. It is important that advice to decision-makers identify any opportunities to achieve the desired outcomes for less funding than has been budgeted, including in circumstances where the budgeted amount was based on early estimates that are later able to be refined. When engaging consultants to assist with key design and/or implementation aspects of a program, put in place mechanisms to identify and actively manage probity, including conflicts of interest. 1.2 The nature of the data required to be retained8 differs depending on the type of telecommunications services offered. Service providers are required to secure the retained data by encrypting it and protecting it from unauthorised interference or access. 1.3 The data retention obligations came into effect on 13 October 2015. Providers that sought funding under the Data Retention Industry Grants Program and were fully compliant by that date were able to submit a Statement of Work outlining the steps they had taken to become compliant. Otherwise, an 18 month implementation period enabled service providers to apply for approval of a Data Retention Implementation Plan, or obtain an exemption from, or variation to, the data retention obligations. 1.4 The implementation period ended on 13 April 2017. From that date all service providers must be fully compliant with their data retention obligations (except to the extent that they have an approved exemption from, or variation to, those obligations). 1.5 In October 2014, when deciding to legislate for a mandatory data retention regime, the government agreed that the Australian Government would pay a ‘reasonable portion’ of industry’s implementation costs.9 In introducing the Bill for the Act, the Government indicated that it expected to make a ‘substantial contribution’ to the cost of implementation of the scheme. 1.7 The program was intended to make a one-off contribution towards existing service providers’ costs in adjusting to meet the new obligations, supporting the industry to adjust to a new regulatory baseline. New entrants to the market were expected to be compliant and, as such, ongoing funding was not considered necessary. apply the program’s funding model to eligible applicants as a key input in determining the amount of each grant. 1.9 Program guidelines were issued on 8 December 2015. Applications were able to be lodged between 7 January 2016 and 23 February 2016. 1.10 A total of 210 applications were received. Of those, 15 applications were later withdrawn and 15 were assessed as ineligible. Seven were assessed as ineligible because they did not submit an implementation plan or submitted it late, another two did not have an agreed plan and a further six applicants were assessed to not meet other eligibility criteria, including not having an eligible service. grant reporting had been finalised and final payments made to 170 providers. In January 2018, eight grant reports had yet to be obtained, or the assessment of reports completed, involving potential second payments of $482,170, by 4 June 2018, only one second payment, of $22,089 remains outstanding. 1.12 In May 2018 responsibility for the Data Retention Industry Grants Program was transferred to the Department of Home Affairs. DIIS retained responsibility for administering the grant funding agreements (at the time of transfer, this consisted of two remaining grant payments). The findings, conclusions and recommendations made in this performance audit report are directed at AGD as: the program was designed and implemented under the grants administration framework of that department; and AGD was responsible for the approval of $122.4 million in grant payments under the program. 1.14 The objective of the audit was to assess the effectiveness of the Attorney-General’s Department’s design of the Data Retention Industry Grants Program, including its performance monitoring, reporting, evaluation and assurance arrangements. 1.16 The scope of the audit included an examination of the Attorney-General’s Department’s design of the program and the arrangements established by the department to: monitor, report and evaluate the performance of the program; and provide assurance that the program was being delivered as intended and the grant recipients were meeting their obligations. examination of emails and interviews with relevant departmental officers. 1.18 The audit was conducted in accordance with the ANAO Auditing Standards at a cost to the ANAO of approximately $402,000. 1.19 The team members for this audit were Hannah Conway, Amanda Reynolds and Brian Boyd. The ANAO examined whether the program was appropriately designed. The ANAO made one recommendation relating to improved design and administration of partner funding arrangements in situations where the Australian Government has decided to make a contribution toward project costs (rather than fully fund those costs). What alternatives to a grant program were considered? Options considered for providing funding to industry were a grants program, licence fee reductions, concessional loans or taxation changes. AGD officials met with a cross section of Department of Finance representatives to discuss funding options. Following discussion of the Government’s objectives and exposition of the various means of providing Commonwealth funds to industry the Department of Finance advised that a grants program was most appropriate. The discussions were held face-to-face and formal minutes were not taken. Rather, the advice received was directly incorporated into advice to Government, and is reflected in contemporaneous documents. How was the amount of available grant funding determined? Attorney-General’s Department contracted a consultant to estimate the capital costs to industry of implementing mandatory data retention. A February 2015 estimate (of between $188.8 million and $319.1 million, with a mid-point of $254 million) informed a decision that the Australian Government would implement a grant program to support 50 per cent of the mid-point estimate. Better data was obtained from industry in early 2016 through the grant application process. Implementation estimates provided by eligible providers totalled $198.5 million, or $55.4 million lower than the mid-point of the earlier estimate. Attorney-General’s Department decided that the consultant should not reflect this data in its final report and the amount of grant funding made available was also not revised. The data from eligible providers that applied for funding would have supported a reduction of $28 million (22 per cent) in program funding whilst still meeting 50 per cent of estimated industry costs (as earlier agreed by the government). 2.2 A key design issue for any grant program is the amount of funding that should be made available. The decision on the amount of grant funding to be made available through the Data Retention Industry Grants Program (DRIGP) was informed by work AGD commissioned from consulting firm PricewaterhouseCoopers (PwC) to estimate the cost to industry of implementing mandatory data retention.16 The various estimates are illustrated in Figure 2.1. Source: ANAO analysis of AGD records. 2.3 A draft report was provided to AGD on 23 October 2014. That report included a ‘preliminary estimate’ that indicated the implementation cost to industry of the proposed regime was between $152.3 million and $394.9 million. There were significant caveats placed on this estimate, reflecting the short period of time available to undertake the work (three weeks) which had impacted on the number of telecommunications providers able to provide input to the development of the estimates, uncertainty about the specific data requirements and practical application of the proposed regime and uncertainties about the number of internet service providers. 2.4 The government decided later in October 2014 that the Australian Government would pay a ‘reasonable portion’ of the telecommunications industry’s capital establishment costs, with the details to be decided after further industry consultation. develop a funding model for the allocation of grant funding to individual telecommunications providers. 2.7 This work was relied upon18 to advise the government in April 2015 that the government should fund 50 per cent of the mid-point of the estimated capital cost to industry of implementing a mandatory data retention regime. Other options presented to the government were funding 40 per cent or 25 per cent of the mid-point of the estimated range of costs to industry. An option of funding 75 per cent of the mid-point of the estimated range of industry costs was also canvassed, with the government advised that this would exceed what could be considered a reasonable contribution. 2.8 The government agreed to a grant program to support 50 per cent of the mid-point of the estimated costs to industry, with a funding model for the program to be developed. Allowing for price indexation over the envisaged three financial years in which grant payments were budgeted to be made, the 50 per cent funding package was budgeted to cost $128.4 million in grants with a further $2.9 million budgeted for the design and implementation of the grant program. 2.9 At the request of AGD, in June 2016 PwC produced a draft report updating its estimate of the cost to industry of the mandatory data retention regime. This report drew on data submitted by telecommunications service providers in their grant applications (specifically, each applicant’s estimate of the cost of implementing the data retention regime). It estimated the upfront cost to eligible industry applicants of implementing mandatory data retention at $198.5 million (which was the aggregate of the estimated costs submitted by each of the 180 services providers that were eligible for a grant, see paragraphs 2.31 to 2.32). This suggested that a program to fund 50 per cent of industry costs would have involved awarding grants of up to $100.4 million19, a reduction of $28 million (22 per cent). 2.10 An earlier draft of this report, provided to AGD in September 2015, had included the estimated upfront cost to industry previously provided in February 2015 (see paragraph 2.6) of between $188.8 million and $319.1 million, with a mid-point of $254 million. AGD instructed PwC to finalise the September 2015 version of the report (which based its cost estimate on ‘scaled up’ estimates provided by a sample of service providers), not the June 2016 version (which was supported by better data, sourced from the cost estimates provided by all eligible grant applicants as part of their application for the grant).20 The report was finalised in August 2016. Were appropriate program guidelines developed? Clear and comprehensive program guidelines were developed and issued. 2.11 Central to the planning of a granting activity, and a key obligation under the Commonwealth Grants Rules and Guidelines, is the development of program guidelines. 2.12 AGD engaged with the Data Retention Implementation Working Group (see paragraph 1.8) and the Department of Communications and the Arts when developing the program guidelines. This was in addition to the consultation with central agencies that is required by the grants administration framework. The development of the guidelines also reflected the program funding model parameters agreed to by the government (see paragraph 2.18). 2.13 Draft guidelines were provided to the Attorney-General on 3 December 2015. They were issued by the Attorney-General on 8 December 2015.
departmental contact details for any inquiries or complaints. 2.15 A Customer Information Guide was also prepared. The purpose of this guide was to provide assistance to providers with completing their grant applications. Providers were informed that the Guide should be read in conjunction with the program guidelines and that, in the event of any inconsistency, the program guidelines prevailed. Was well considered advice provided on the program funding model? In a number of respects, the departmental advice on the program funding model was well considered. The advice addressed the risks associated with basing grant amounts on provider cost estimates, and proposed that these risks be managed by obtaining data from applicants that would allow ‘typical’ implementation costs to be estimated as a key input to determining individual grant amounts. A key risk that was not adequately addressed related to the potential for government estimates of typical implementation costs for individual providers to be greater than the provider’s own estimate of those costs. take into account companies that have recently invested in compliant data retention capabilities in anticipation of the Bill’s passage. 2.17 Consistent with the Government response to the Committee report, these seven factors were taken into account in the design of the program’s funding arrangements. AGD also had regard to the Commonwealth Grant Rules and Guidelines and advice it had obtained in June 2015 from PwC on funding model options. providers being unlikely to receive grant amounts that cover the entire sum of their assessed actual cost of compliance. 2.19 AGD further advised that the proposed model was an alternative to distributing grant funding as a percentage of applicants’ actual implementation costs. AGD advised the Attorney-General that it would have been ‘disproportionately costly [for the department] to validate’ applicant cost estimates.22 AGD also viewed the proposed model as a way of mitigating risks associated with providers under- or over-estimating their costs. 2.20 The advice addressed one of the risks from adopting AGD’s recommended approach to calculating grant amounts. Specifically, it outlined that the key variables proposed for scoring the impact of implementing the obligations came from ‘a limited sample of industry data’ such that ‘a weighting for each variable cannot be determined until data from all grant applicants is collected’. AGD flagged that this reduced the level of transparency about the assessment process that could be provided but that this could be addressed by providing information about the operation of the model to eligible applicants after the assessment process was complete. 2.21 AGD did not identify in its advice that there was a risk that the funding model could result in proposed grant amounts significantly in excess of applicant cost estimates. This risk was realised (see paragraphs 2.26 to 2.28). 2.22 In October 2015, the Attorney-General approved the funding model recommended by AGD. Agreement to the model was also subsequently obtained from the Prime Minister and the Minister for Communications and the Arts. Was the program funding model used to calculate individual grant amounts? The program funding model was not used to determine each individual grant amount. Application of the funding model would have seen many telecommunications service providers receiving grant amounts well in excess of their estimated costs. Minimum ($10,000) and maximum (80 per cent of the provider’s cost estimate) grant parameters were established to prevent this result. An iterative process was then employed to re-allocate $88.4 million in grant funding to other eligible applicants. The Program Delegate [within AGD] will advise the Minister on appropriate minimum and maximum grant amounts, and the overall distribution of program funding based on Eligible Applicant scores, to ensure that the funding allocation is consistent with the Program objectives and does not exceed the appropriation for the Program i.e. up to $128.4 million. Note that funding allocations will not be linked to actual cost but to typical implementation cost, and do not reimburse full costs but are a financial contribution to the typical up-front costs of compliance. The size of the applicant as determined by gross annual revenue for the most recent full financial year. Businesses with an annual gross revenue of up to $3 million will receive a score of 1 to 25 points (with the smallest businesses receiving the most points). This criterion was aimed at lending support to small business. anticipated data storage required to meet the data retention obligations, as at 13 April 2017. Source: ANAO analysis of program guidelines. 2.25 PwC used a technique called multivariate regression to estimate the Typical Implementation Impact score.24 A total score out of 100 was then calculated by adding the Enterprise Scale score and the Typical Implementation Impact score. The total of the scores allocated across all Eligible Applicants was 7006, an average (mean) score per provider of 38.92 out of 100. The proposed methodology then involved dividing the available grant funding linearly across these scores, with each point being worth $18,321. another provider had estimated its costs to be $34,202 had its costs modelled to be $278,092, more than 700 per cent higher with the application of the funding model proposing a grant of $597,871. Actual costs of $33,856 were reported to DIIS. Source: ANAO analysis of AGD and DIIS data. 88 per cent of providers would receive a grant amount higher than their estimated costs. Specifically, these grants would have ranged from one per cent higher than the applicant’s estimated costs to 16,782 per cent higher than the applicant’s estimated costs. two received a grant at below the cap of 80 per cent (the amounts represented 47 per cent and 64 per cent of their estimated costs). Source: PwC report of 7 July 2016. 2.29 The approach adopted meant that the funding model published in the program guidelines was not being employed. How much were the grants awarded expected to contribute to industry’s costs? Eligible telecommunications services providers were awarded $128.4 million in grant funding. This represented 65 per cent of the aggregate of those providers’ cost estimates included in their applications for grant funding. There was no documented consideration, or departmental advice to the Attorney-General, about the merits of constraining the amount of grant funding awarded to 50 per cent of estimated costs (on an industry-wide basis). Limiting grant expenditure to 50 per cent of the aggregated estimated costs of industry applicants would have saved $28 million in Australian Government expenditure. 2.30 The ‘up to’ $128.4 million in grant funding that was made available reflected the Government decision to meet 50 per cent of the mid-point of estimated range of industry implementation costs (see paragraph 2.7) as it had decided to make a ‘reasonable’ or ‘substantial’ contribution to those costs (see paragraph 1.5). 2.31 In aggregate, the cost estimates of the 210 applicants totalled $226.3 million. Fifteen applicants later withdrew their applications and a further 15 were assessed as ineligible. The cost estimates for the remaining 180 eligible applications aggregated to $203.9 million. 2.32 Cost estimates submitted by applicants were considered as part of the assessment of applications. During the assessment process, 35 applicants revised their estimates. This comprised 28 applicants that reduced their cost estimates by a total of $5.6 million and seven that increased their estimates by a total of $254,925 (resulting in a net overall reduction of $5.4 million). The aggregate of the final cost estimates for the 180 eligible applicants totalled $198.5 million.26 This was $55.5 million (22 per cent) lower than the $254 million mid-point estimate used to budget the amount of grant funding to be made available. The Department notes its view that the Government decision allocated a fixed funding pool.30 Moreover the Department did not read the Government’s decision as indicating that meeting 75 per cent of costs was unreasonable, but rather a pool based on 75 per cent of estimated costs would be too significant as a total contribution, noting the potential for over-estimation of costs. How much has the Australian Government contributed to industry’s reported actual costs? As at the beginning of June 2018, reporting from providers awarded grant funding is that the cost to industry of implementing mandatory data retention was $154.7 million. The Australian Government paid grants of $122.7 million to those providers, meaning the Australian Government has met 79 per cent of industry’s reported upfront capital costs of achieving compliance with the data retention obligations. 2.35 The program guidelines had stated that grant funding allocations would be a financial contribution towards the costs of compliance and, accordingly, would not fully meet the costs of individual providers. 2.36 The reporting framework established by AGD with DIIS enabled AGD to be informed of progress of the program, in particular the number of funding agreements executed and grant funds paid. In November 2017, AGD advised the ANAO that this enabled it to evaluate the extent to which the program was contributing to the upfront capital costs of achieving compliance with data retention obligations. 2.37 The grant agreements specified the Australian Government funding as a fixed amount. This exposed the Australian Government to risk in circumstances where providers had overestimated their implementation costs. A better approach, consistent with the intention that the program meet a ‘reasonable portion’ of industry costs rather than fully meet any provider’s costs31, would have been to specify the grant amount as being a fixed percentage of eligible actual expenditure subject to a cap (being the grant amount approved by the Attorney-General). Other grant programs audited by the ANAO that have involved the Australian Government making a contribution to project costs (rather than fully funding projects) have drafted their agreements in a way that maintains the relative contributions of the Australian Government and the project proponent in circumstances where costs are less than estimated at the time funding was awarded. 2.38 As at the beginning of June 2018, AGD and DIIS had accepted grant reports from, and finalised grant payments to, 170 providers. As outlined in Table 2.3, it was quite common for providers to either under- or over-estimate their implementation costs. The quantum of over-estimations ($43.3 million) was considerably greater than the quantum of under-estimations ($3.0 million). Had grant funding been capped at the lesser of the amount approved by the Attorney-General and 80 per cent of reported actual implementation costs (80 per cent being the cap decided upon when grant funding amounts were calculated — see paragraph 2.28) a saving of $10.7 million would have been realised in relation to those 170 providers. The overall actual project cost came in some $3.925 million below the budget forecast from 2015. This also meant that the actual expenditure was some $234,359 below the approved total maximum grant amount. The difference between budget forecast and actual can be explained by the following key points. Approximately $3 million of direct labour budget was unspent. This was due to savings in efficiency of deliverables, as well as an untouched management reserve. Hardware savings of ~$1 million was a result of changes required to the strategic build scheduling. Due to improved timing efficiency, these costs have since been incorporated into the build, rather than as a change, thus the change cost was not incurred. Software costs ended higher than original forecast once networks storage requirements were implemented. 2.40 The 172 providers had reported total implementation costs of $154.3 million. Total grants of $122.4 million had been paid to those providers, meaning the Australian Government has contributed in aggregate 79 per cent of industry’s reported implementation costs. On average, the Australian Government contributed 81 per cent towards each of the 172 provider’s reported actual costs. This included 26 providers where the grant fully met the provider’s reported actual costs (which aggregated to $23.0 million), meaning the provider reported not making any financial contribution towards the cost of implementing mandatory data retention. This was inconsistent with the program guidelines, which had stated that grant funding allocations would not fully meet the costs of individual providers. 2.42 The department is committed to best practice in grants administration, and to continuous improvement in our delivery of such programs. 2.43 I note however that the rationale for this recommendation characterises the Government’s decision to support industry as making a contribution in terms of a proportion of the actual cost of implementation. The Government committed to making a ‘substantial contribution’ to industry costs. It is the department’s view that, having identified an appropriate cap on the total contribution (calculated as a percentage of total estimated costs of compliance), the Government decided to allocate that amount in full. That is, the Government decided that the proportion of 50 per cent of estimated costs of compliance at that time would be the total contribution to be made to deliver on its commitment to make a ‘substantial contribution’. 2.44 The report suggests that the funding pool could have been reduced to ensure that grants did not exceed 50 per cent of applicants’ estimated costs, based on updated estimates from PwC that used figures provided by individual companies during the grants application process. However, the total funding pool was based on estimates available at the time the decision was made. The decision of Government did not contemplate an adjustment of the total funding pool with a view to reducing individual grants. Accordingly, the department considered the clear intent of Government to be allocation of the entire funding pool to industry. 2.45 The Business Grants Hub grant opportunity guidelines, grant agreements and reporting templates are designed to ensure that co-contributions are made in line with government expectations. For this program, the key design decisions had already been determined and legislation was already in place when the Attorney-General’s Department (AGD) brought the program to the department. This included the process for managing data retention implementation plans, statements of work and processes around the allocation of grant funding. The ANAO examined the implementation of the program, including the performance monitoring, reporting, evaluation and assurance arrangements. The ANAO made three recommendations aimed at better management of probity, improvements to the development and signing of grant agreements, and implementing stronger grant reporting arrangements. There would also be benefits in Attorney-General’s Department’s (AGD) Grant Administration Guide being expanded to require that conflicts of interest for departmental staff be addressed during the design phase of a grant program (not just when staff are assessing grant applications). Was an appropriate probity framework in place? There was no probity plan in place for the program. An assurance plan was prepared, but it was not implemented in full. In addition, the risks associated with conflicts of interest were not well managed, particularly in relation to the consulting firm contracted to assist with the design of the program and with the assessment of applications for funding. represented a higher risk given AGD did not possess extensive experience in implementing programs with this level of technical complexity, and ANAO performance audit activity had identified shortcomings in the department’s grants administration. there was no single probity document for the DRIGP, but rather that probity and assurance issues were considered at various stages of design and implementation. 3.3 Across July and August 2015 AGD conducted a procurement process to engage a consultant to provide advice on audit, risk and assurance strategies to inform the design and administration of the program. The value of the contract was $38,990. 3.4 The procurement process involved AGD seeking quotes from two of the 171 firms included on a consultancy and business services panel established in 2013 by the then Australian Customs and Border Protection Service (ACBPS).34 One of the two firms had already been engaged by AGD to cost a data retention scheme (see paragraphs 1.8 and 3.13). AGD did not document any consideration of the risks involved in having the same firm engaged for these two activities (AGD was specifically seeking independent advice). This firm was the successful panellist and was subsequently engaged. 3.5 The consultant prepared an Assurance Plan for the Program. The Plan was approved by AGD on 17 November 2015. Its purpose was to document the assurance roles, responsibilities and processes in place to ensure AGD had adequate assurance coverage over its key controls and, in turn, the management of the identified eight key Program risks. Preparation of a ‘Quality Assurance Plan’ in relation to the calculation by AGD’s ‘Independent Consultant’ of the grant amounts that were to be paid.36 The Quality Assurance Plan was supposed to be incorporated into the contract with AGD’s contracted consultant, but the ANAO was unable to locate a copy of this Plan or records evidencing its implementation. On 14 November 2017, the ANAO sought from AGD a copy of the Quality Assurance Plan. AGD’s 21 December 2017 response to the ANAO advised that ‘while a specific “Quality Assurance Plan” as noted on page 2 (section 1.3) of the Assurance Plan was not created, the Department put numerous measures in place and actively monitored both the input and output data of the funding model as envisaged by the Assurance Plan.’ AGD also provided the ANAO with copies of relevant records, including evidence of its assessment of the inputs to, and outputs from, the PwC model. A tailored ‘DRIGP Compliance Plan’, including quality assurance roles/processes to ensure correct and consistent application of procedures. On 14 November 2017, the ANAO sought assistance from AGD in locating a copy of the Compliance Plan. On 21 December 2017, AGD advised the ANAO that ‘while a designated DRIGP Compliance Plan as noted on page 2 (section 1.3) of the Assurance Plan was not created, those same compliance activities envisaged were expressly included in the MOU’ with the Department of Industry, Innovation and Science (DIIS).37 AGD also provided the ANAO with copies of records evidencing the related interactions with DIIS. The ANAO’s analysis is that the approach taken fell short of that envisaged in the proposed DRIGP Compliance Plan. In particular, the approach taken did not include ‘target numbers, methodologies, resourcing and training requirements’ for compliance activities in the five specified areas of ‘education’, ‘compliance monitoring’, ‘substantiation activities’, ‘forensic audits’ and ‘technical evaluations for high risk grantees’. Some consequences of this shortcoming are discussed at paragraphs 3.49 to 3.52 and paragraph 3.58.
staff remain alert to conflict of interest issues throughout the grants administration process and inform their supervisor of any concerns regarding conflicts of interest that may arise after the staff member completes their original conflict of interest declaration form. 3.8 There would be benefits in AGD’s Grant Administration Guide being expanded to require that conflicts of interest also be addressed during the design phase of a grant program. where a conflict was determined to be material in nature, the affected person was to be excluded from the eligibility and assessment processes for the program. 3.10 Conflict of interest declarations were obtained for the majority of AGD staff involved with the program. Conflict of interest declarations were not obtained for five staff, including three Senior Executive Service (SES) officers (who had completed a general declaration of interests required of all SES officers). Two SES officers complied with both the general obligation to disclose their interests as well as completing the grant program conflict of interest declaration. For one of those SES officers this latter declaration was not timely (it was not completed until 30 March 2016, by which time assessments were well underway). 3.11 For two thirds of those instances where a staff member had disclosed a conflict of interest, AGD records included consideration of whether any management action was required. In the remaining instances AGD advised the ANAO in November 2017 that there were no records of management’s consideration. AGD further advised that the disclosure had been discussed with the staff member and a decision taken that no management action was required. 3.12 There were significant shortcomings in how AGD addressed conflicts of interest in the five DRIGP connected procurements of PwC. 3.13 Three of the procurements were for costing of a data retention regime (which informed key decisions on the design of the program, in particular the quantum of funding to be made available to industry by way of grants).38 They covered the period 25 September 2014 to 31 August 2015. AGD records did not evidence that it had addressed conflicts of interest in the procurement process or, once PwC had been engaged, obtained any conflict of interest declarations (so as to identify if any action was required to manage any identified conflicts). 3.14 The fourth procurement occurred in August 2015 and resulted in the preparation of an Assurance Plan for the program (see paragraphs 3.3 and 3.5). Both of the firms approached to quote for this consulting opportunity stated to AGD that they had no conflicts of interest. The Work Order subsequently issued by AGD did not require the completion of any conflict of interest declarations. 3.15 In December 2017, AGD advised the ANAO that, for those four procurements, AGD ‘did not obtain additional conflict of interest declarations from PwC’ as AGD considered there was ‘limited scope for the consultant to encounter a conflict of interest’. Instead AGD relied upon conflict of interest clauses included in the relevant panel deeds. Both deeds39 included a warranty that no conflict existed or was likely to arise and that, if a conflict subsequently arose, PwC would provide immediate notification, make full disclosure and take steps to deal with the conflict. procurement involved the development of a funding model for the grants program, AGD took additional steps to manage the risk of any conflict of interest by PwC, given the likelihood of pre-existing relationships between PwC and telecommunications providers. Specifically, para 7 of the procurement approval minute noted the risk of conflict of interest and advised the decision maker that specific measures were included in the work order to address it. As you note, the work order required an undertaking from PwC that it have in place appropriate conflict of interest policies. PwC wrote to AGD on 20 January 2016 confirming these arrangements. This letter was annexed to the work order, which AGD signed on 27 January 2016 […] The signing of the work order constitutes AGD’s acceptance of PwC’s arrangements. 3.18 The Work Order issued by AGD required PwC to have appropriate policies and procedures in place so as to ‘ensure any advice provided to the Department will not favour, or create the apprehension of favouring service providers with which PwC might have other contracts or professional relationships.’ The response AGD received was a letter advising that PwC would ‘ensure that Specified Personnel outlined in the Order do not undertake work for telecommunications businesses participating in the Data Retention Industry Grants Program for the period of the contract (to 30 April 201643 [a period of three months]).’ AGD records did not include any analysis of the adequacy of this response. PwC was not supplied with the Provider names or any other identifying information as part of this dataset. This was to ensure that the modelling process and the consequent allocation of funds were done without reference to, or knowledge of, the identity of individual providers. 3.20 AGD design grant programs for probity, including putting in place appropriate mechanisms for identifying and actively managing conflicts of interest. 3.21 The department is undertaking a review of its Conflict of Interest guidance and procedures. This will result in a comprehensive handbook and a new conflict reporting system. 3.22 I note the ANAO’s observation that the majority of departmental staff involved with the program completed conflict of interest declarations. With regard to managing PwC’s potential conflicts of interest, the department relied upon statements by the firms requested to quote the work that they did not have conflicts of interest. Contractual requirements for each panel also included that conflicts of interest be adequately managed by the contractor. In procurement of the funding model report, the department took additional measures to address a potential for a perception of conflict that had been identified by Communications Alliance. Noting the importance of not only of avoiding actual conflict, but also the possibility of a perception of potential conflict, my department will seek specific and explicit additional assurances, both at the commencement and during the course of an assignment, for future programs and monitor compliance. 3.23 Business Grants Hub arrangements are designed to appropriately manage conflicts of interest, both on the part of applicants/grantees and of the Commonwealth, in line with the requirements in the Commonwealth Grants Rules and Guidelines. Were appropriate funding agreements established? The program risk assessment concluded that the program represented a medium risk and a low risk grant agreement was used, this was not inconsistent with guidance. At an individual provider level, one-sixth of providers were identified as presenting a higher risk, to be managed through additional reporting. 3.24 AGD, in conjunction with the Department of the Prime Minister and Cabinet46 and the Department of Finance (Finance), undertook a program risk assessment. AGD accepted a medium risk for the program, whilst noting that Finance believed the program to be high risk. […] the DoF [Department of Finance] risk tool uses three tests to determine whether or not you should use the low risk template. The programme passes the first and third test but fails the second (the overall risk rating) but the use of the word ‘should’ is permissive and gives us latitude. 3.26 Such an approach is not inconsistent with Finance guidance. DIIS determined after reviewing AGD’s risk assessment summary, which rated the program risk as medium, that the funding agreement was not a relevant control for the AGD identified risks. As such, DIIS determined that a low risk grant agreement was appropriate. DIIS further observed that any adverse perceptions that resulted from the low risk agreement being used would be mitigated. Specifically, ‘large grantees will be subjected to an “enhanced compliance” regime through the contract’. In this respect, following assessment by DIIS and AGD47, 27 funding providers48 were identified as ‘high risk’. The risk treatment applied was to require that, in addition to the standard reporting required of all funding recipients, a financial expenditure report would be required to be submitted and accepted before the second instalment payment would be made. Were agreements signed and first instalment payments made in a timely manner? There were considerable delays in the execution of funding agreements, resulting mainly from the re-issuing of incorrect agreements. It took 10 months for all funding agreements to be executed and all first instalment grant payments to be made. Some funding recipients received first instalment grant payments after data retention obligations came into effect on 13 April 2017, while other providers entered into funding agreements after this date. Delays were incurred due to the need to rectify the issuing of incorrect funding agreements. 3.28 A funding recommendations briefing was provided to the Attorney-General on 18 August 2016. This was two months later than planned due to the 2016 Federal election. By this date, providers had less than eight months to be fully compliant with their data retention obligations. The design of the program included payment of the first instalment (of 50 per cent of the grant amount) upon execution of the funding agreement. Source: ANAO analysis of AGD and DIIS records. 3.29 The MoU between AGD and DIIS outlined that DIIS was responsible for preparing funding agreements with each successful applicant, and coordinating the signing of the agreements by the funding recipient and AGD. The MoU included a general performance measure for DIIS’ program delivery activities of meeting ‘required timeframes’ but a specific target for the finalisation and signing of agreements was not set by AGD. 3.30 The first agreements were finalised and signed by both the funding recipient and AGD on 4 October 2016, some six weeks after the funding decisions were made, and some six months before compliance with data retention obligations was required. 3.31 On 10 October 201649, it was identified that there were one or more errors in each of the grant agreements that had been sent to providers for signature. The types of errors, which varied between agreements, included incorrect and incomplete clauses and incorrect definitions of the activity for which grant funding had been awarded.50 AGD asked that the errors be corrected. An internal DIIS investigation into the errors, completed in February 2017, noted that ‘issues arising with the generated agreement documents were corrected manually’ and when issues were discovered ‘they were dealt with on an ad hoc basis without a full review of the template to determine the extent of the issues.’ On 22 November 2016 AGD informed DIIS that it was ‘disappointed’ that the error had not been corrected and there were now 86 executed agreements with incorrect grant conditions. It was identified that there were a further 79 agreements that had been issued to funding recipients that also contained errors but which had not yet been signed. 3.32 So as to minimise the disruption to the 79 affected funding recipients while it decided what to do in relation to agreements already executed, AGD directed DIIS to reissue correct versions to those providers where AGD had not yet executed the funding agreements. Of these 79 recipients, 40 had already returned a signed original agreement to DIIS. There was an average 24 day delay between the AGD decision to reissue the incorrect and unexecuted agreements and for those 40 funding recipients to re-sign.51 The delay caused by the reissuing and re-signing of funding agreements delayed the release of funding for these 40 grant applicants. AGD continued to execute agreements within 14 days of recipient signature, with the first milestone payment processed on average 14 days after execution. 3.33 After DIIS obtained legal advice on 6 December 2016, regarding the funding agreements with errors, a decision was taken by AGD on 3 January 2017, nearly three months after the issue was first identified, that agreements with errors that had already been executed should be reissued, re-signed and re-executed. Of the 86 affected providers, 85 (99 per cent) had received their first instalment payment of 50 per cent of the grant amount based on an agreement with one or more errors. AGD prepared a strategy that outlined the approach agreed with DIIS for communicating with grantees about the reissue of funding agreements. 3.34 As illustrated by Figure 3.2, it took until mid-April 2017 for all affected agreements to be reissued and signed by both the funding recipient and AGD. Figure 3.2 also illustrates that it took until mid-June 2017, two months after providers were required to be compliant with the data retention obligations, for all funding agreements to be signed. 3.35 When employing a grants hub to contract with entities to deliver grant programs on its behalf, AGD agree with the department providing the hub service performance indicators relating to the accuracy and timeliness with which grant agreements will be drafted, negotiated and finalised. 3.36 As one of the initially identified consuming agencies, the department is committed to transitioning all existing, non-exempt grant programs to the Community Grants Hub by 30 June 2019. That process entails each program area entering into a Grant Round Management Plan with the Hub for any upcoming funding round, including specific Establishment Phase information that sets timelines for the issuing of grant agreements by the Hub, their negotiation and execution by the parties and return to the Hub prior to the release of funds. 3.37 I note that the department considers it should be able to rely on advice and processes from specialist grants hubs. The efficiencies intended to be achieved by the establishment of the grants hubs would not be realised if such services cannot be relied upon. 3.38 The report notes a low risk grant agreement was used despite the program having been assessed as representing a medium or high level of risk. The low risk grant template was selected on advice from DIIS that it was suitable for the administration of this program. The department nevertheless took further measures to manage risk, establishing a detailed risk assessment process to identify higher risk grant recipients based on both quantitative and qualitative analysis. These grantees were then subject to enhanced reporting requirements and other measures to treat or mitigate identified risks. Paragraph 3.22 of the report notes that the department of Finance had preference for a higher risk treatment of the program as a whole. While the department of Finance held such a preference, they also found the mitigations for high risk grantees to be sound. 3.39 I acknowledge the delays and errors in the signing of funding agreements. However, the suggestion that providers were therefore delayed in receiving their first instalments of grant funding does not reflect certain practical delays inherent in a program of this size such as delay by the grantee in executing agreements, or the transfer of grant agreements between grantees, DIIS and the department. The department worked with DIIS to ensure that the effect of errors on grant recipients was minimised. This included prioritising the re-issuing of funding agreements that were yet to be executed to ensure initial payments could be made as soon as possible. These agreements were all re-issued by DIIS within two weeks of AGD approving AusIndustry to do so. Once this had occurred, the department and DIIS focussed on resolving the problems with those funding agreements which had already been executed, with initial payments made, where the effect on the grantee would be less. AusIndustry have advised that all such agreements were re-issued over the course of two days in January 2017. 3.40 More specific performance indicators regarding the execution of funding agreements may have better managed expectations between the department and DIIS, but such measures could not have prevented the human errors made by DIIS which have been noted in the report. 3.41 The Business Grants Hub service delivery arrangements have matured since we commenced delivery of the Data Retention Industry Grants Program on behalf of AGD. Our standard services schedule sets out the deliverables for each program and includes performance indicators around timeliness. The standard schedule is currently being reviewed to include additional indicators in relation to the quality of services provided. Did the grant reporting arrangements provide adequate assurance? The reporting arrangements, and their administration by the Department of Industry, Innovation and Science, relied heavily on statements made by funding recipients, and therefore provide a low level of assurance. 3.42 The Customer Information Guide issued with the Program Guidelines advised grant applicants that ‘you must submit progress reports as described in the grant agreement at least once every 6 months detailing the progress towards completing the activities in your project.’ The progress reports were to be in addition to a final report required in order to receive the second (and final) grant payment. 3.43 None of the funding agreements issued to any provider included the requirement for progress reports to be provided every six months. 3.44 The reporting requirements placed on funding recipients were tailored according to whether data retention work had already been completed or not, the assessed level of risk of the provider and to manage risks identified during the assessment process through provision of a statutory declaration (see paragraph 3.27). Figure 3.3 illustrates the reporting requirements associated with the second instalment payments. Note: Number of grantees does not add to 175, as 2 of grantees who were subject to ‘additional conditions’ were also assessed as high risk and so are included in both categories. 3.45 The majority of providers (164 or 94 per cent) were to receive their second instalment payment before they had declared that they complied with the data retention obligations. Rather, they could receive their second payment so long as they reported to DIIS that their expenditure was at least equal to the grant amount, or they satisfied DIIS that they were committed to spending at least the grant amount. 3.46 The Final Expenditure Reports proved to be useful in the administration of grants to those providers assessed as high risk. By 1 December 2017 all 27 high risk providers had submitted their expenditure report. For 17 providers (65 per cent), consideration of the report lead to DIIS or AGD asking for further information. Two of those inquiries led to a reduction in the amount of expenditure accepted as relating to implementation of the data retention obligations. In both instances, the providers received more than 80 per cent of their accepted actual costs. 3.47 The only reductions in grant amounts related to 18 providers that reported having spent less than the grant amount. For 16 of those providers their second instalment payment was reduced. For two, the reported underspend meant that they had to repay a significant proportion of the first instalment payment (and did not receive any of the second instalment). 3.48 As noted at paragraph 3.6, AGD did not prepare a compliance plan for the program that included target numbers, methodologies, resourcing and training requirements for compliance activities in relation to compliance monitoring, substantiation activities and forensic audits. 3.49 There were 26 providers52 who reported that their actual expenditure was identical to the grant amount (that is, the provider reported making no financial contribution to the costs of complying with its obligations) and, consequently, less than they had estimated when applying for funding. Four of those (15 per cent) were subject to further inquiries but the other 22 (85 per cent) were not. 3.50 Where an expenditure report was not required, it was significantly less likely for any questions to be asked before the second instalment payment was made. Specifically, there were 12 providers (8 per cent of the 144 providers that were not required to provide an expenditure report) where further inquiries were made. One of these was a provider with an approved Data Retention Implementation Plan (DRIP) who reported that the cost of implementing data retention was identical to the estimate it included with its application for funding (as expenditure to date was less than the grant amount, the follow-up action involved obtaining assurance from the provider that it would spend at least the grant amount, in order to provide sufficient basis for paying out the grant in full). There were nine other providers with a DRIP that reported their actual costs of implementation as being the same as their estimated costs. No further inquiries were made with those providers to be satisfied as to the veracity of the reported expenditure. 3.51 It would have been reasonable to expect that, for the 11 providers awarded funding on the basis of having already completed work (that is, they were awarded funding on the basis of a completed Statement of Work) where reporting has been completed and all grant payments made, actual costs would be the same as their estimated costs. This was the case for six providers. Three other providers reported actual costs 20 per cent, 25 per cent and 47 per cent lower than stated when they applied for grant funding (two of these were subject to further inquiries, with one provider confirming to DIIS that all costs incurred had been reported, and the other remains under investigation). Another two providers reported actual costs 36 per cent and 133 per cent higher than the figure included in their grant application. There were no further inquiries undertaken in relation to either provider. 3.53 The Final Reports also sought information such as sales revenue, number of employees and contractors, taxable income and an outline of project outcomes and objectives. Little of this data collected in the Final Reports was referenced by DIIS in its recorded assessments. DIIS advised ANAO that this data was collected to contribute to DIIS’ data warehouse to provide business intelligence for broader reporting purposes. This data has not been sought by AGD and was not used for any report verification or assurance purposes. 3.54 AGD determine the nature, content and frequency of reporting requirements for grant programs proportional to the risks involved and policy outcomes being sought. 3.55 The department is committed to appropriate and proportionate management of grants programs and expenditure of Commonwealth funds in line with government intent and community expectations. The recommendations in this report will inform future improvements to grants program procedures. 3.56 I note however that there are inherent limitations on the level of reporting that can reasonably be imposed on a fixed non-acquittal entitlement-based program, particularly one of a highly technical nature such as the Data Retention Industry Grants Program. Highly onerous reporting requirements would necessarily impose a significant regulatory burden, ultimately reducing the value of the capital assistance to industry and undermining the ability to achieve the program’s policy intent. 3.57 The Business Grants Hub design frameworks identify program and project risks as one of the key elements to be considered in the design of programs, including payment arrangements, frequency of reporting, evidence requirements and assurance activities. 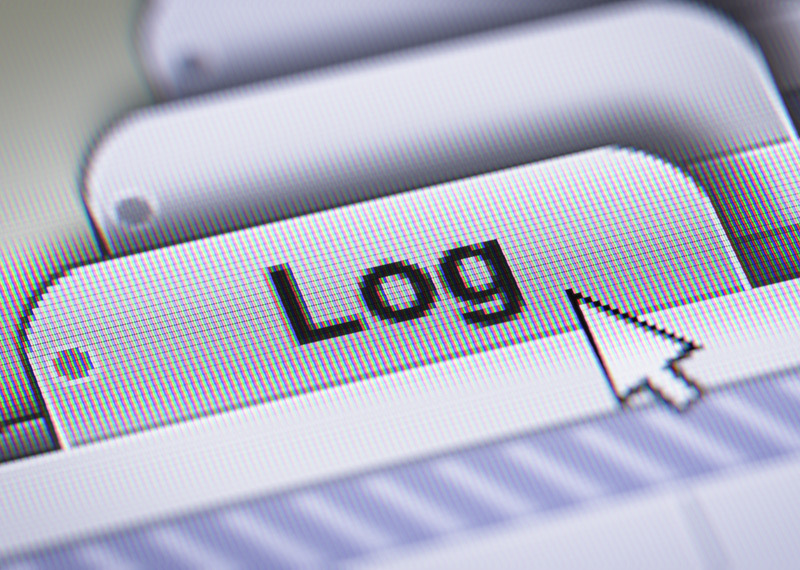 Are providers meeting their data retention obligations? There is insufficient evidence yet available to demonstrate that the providers awarded grant funding are meeting their data retention obligations such that law enforcement agencies are now able to obtain the data they need. An effectiveness review is to be conducted in 2019.
the MoU required AGD to inform DIIS, within 10 business days, of any instances reported to AGD by law enforcement agencies of a provider not complying with the data retention obligations so that DIIS could take appropriate action (such as varying the agreement or recovering grant funds). AGD records did not include any instances of a law enforcement agency reporting non-compliance. We consider evaluation of the broader data retention policy objectives to be outside the scope of the audit, noting that the grants programme was not designed to achieve compliance with data retention obligations, but rather make a direct contribution towards compliance costs. The outcome you reference in the programme guidelines of ‘The telecommunications industry has the necessary technical capability to comply with data retention obligations under the Act’ links to the provision of funding to build the necessary technical capability. The outcome for the grants programme was not compliance with legislative obligations. To the extent it assists we have nevertheless set out below some general information on our policy evaluation work. Law enforcement and national security agencies have been able to access telecommunications data under Chapter 4 of the Telecommunications (interception and Access) Act 1979 (TIA Act) for many decades. The 2015 data retention amendments imposed obligations to retain specified telecommunications data for a period of two years, thereby requiring retention of prescribed data for a prescribed period and addressing variability in both the range of data retained and the period for which it was retained. The new data retention obligations were subject to an 18 month implementation period to afford providers the opportunity to build capability and adapt services to retain the required data. The period ended on 13 April 2017. Accordingly, a number of providers will have only commenced retaining the required data on 13 April 2017 and so will not have retained the full 2 years of data until 2019. A comprehensive assessment of the effectiveness of the regime would therefore be premature prior to 2019. Pursuant to the requirement under 187N of the TIA Act that a review of the data retention regime commence within two years of the implementation period, the Parliamentary Joint Committee on Intelligence and Security is scheduled to undertake a review of the TIA Act in 2019. AGD has been consulting agencies on methods for measuring the effectiveness of the regime, in preparation for the 2019 review. The Department provided an update to relevant agencies on the progress of data retention implementation through the Interception Consultative Committee in March 2017. This included the circulation of two discussion papers regarding both overall compliance with the regime and the 2019 PJCIS review. AGD will continue to work closely with law enforcement and national security partners in preparation for the 2019 review. 1 The data retention obligations relate to information about a communication, not the content or substance of a communication. 2 Operational costs for telecommunications service providers responding to requests for data are to continue to be met on a no-profit no-loss basis by requesting agencies. 3 Comprising $128.4 million in grant funding and $2.9 million for program administration costs. 4 Seven were assessed as ineligible because they did not submit an implementation plan or submitted it late, another two did not have an agreed plan and a further six applicants were assessed to not meet other eligibility criteria, including not having an eligible service. 5 This was due to providers reporting actual implementation costs being less than the grant amount (16 providers), two providers being investigated for defrauding the Commonwealth in respect to the funds they had already been paid and a reduction in the grant amount due to a change in one provider’s business that substantially reduced its data retention obligations. 6 The Administrative Arrangements Order of December 2017 moved responsibility for national security and law enforcement policy and operations from AGD to the Department of Home Affairs. 7 The program guidelines approved by the Attorney-General stated that the Australian Government would not fully fund any provider. 8 The data retention obligations relate to information about a communication, not the content or substance of a communication. 9 Operational costs for telecommunications service providers responding to requests for data are to continue to be met on a no-profit no-loss basis by requesting agencies. 10 Comprising $128.4 million in grant funding and $2.9 million for program administration costs. 11 The Administrative Arrangements Order of December 2017 moved responsibility for national security and law enforcement policy and operations from the Attorney-General’s Department to the Department of Home Affairs. 12 The Business Grants Hub was launched on 1 July 2016 to provide design and delivery services for government grants programs. 13 On 7 March 2018, AGD advised the Joint Committee of Public Accounts and Audit that it had agreed to a recommendation (in the Committee’s Report 464) that it establish appropriate partnership agreements with the Grants Hubs. The AGD response referenced the agreement it had entered into with the Community Grants Hub operated by the Department of Social Services but did not mention the arrangement with DIIS. 14 This was due to providers reporting actual implementation costs being less than the grant amount (16 providers), two providers being investigated for defrauding the Commonwealth in respect to the funds they had already been paid and a reduction in the grant amount due to a change in one provider’s business that substantially reduced its data retention obligations. 15 On 7 March 2018, AGD advised the Joint Committee of Public Accounts and Audit that it had implemented the recommendation made by the ANAO in the audit of the Living Safe Together program. 16 Paragraph 3.13 outlines the procurement process employed and the approach taken by AGD to managing any conflicts of interest. 17 PwC informed AGD that its methodology used a variety of approaches to ‘scale up’ the cost estimates provided by some individual providers so as to provide a total cost to industry (for example, by market share, number of businesses etcetera). 18 A copy of the PwC report was also provided to the government. 19 Including indexation for budgetary purposes increases the funding from $99.25 million (50 per cent of $198.5 million) to $100.4 million. The latest version of PwC’s report [June 2016] is confusing and has limited use in the context of the PJCIS [Parliamentary Joint Committee on Intelligence and Security] review. The report imports data from grant applications, which applicants have submitted as part of the Data Retention Industry Grants Programme. The report does not discuss how or why PwC apply grants data. The report also does not discuss the limitations, strengths or weaknesses of the data. Without this additional information, the final cost estimates do not appear to be comprehensive or well thought out. […] this [September 2015] version provides a best estimate for a particular point in time. Having a separate estimate from grants data [which was used in the June 2016 version] will be useful when analysing costings in 2019 for the Parliamentary Joint Committee on Intelligence and Security review. While the underlying data for these estimates may not be as reliable as the grants data we now have, the report explains the way that PwC arrived at its estimate in a much more logical and cohesive manner. 21 The advice was that the program needed to have a single round with an inflexible closing date because each eligible applicant’s funding would be affected by its own final score, the spread of scores, and the total number of eligible applicants. This meant that grant amounts could not be allocated until all applications were received and assessed. 22 As it eventuated, applicant cost estimates were examined as part of the application assessment process (see paragraph 2.32). 24 The analysis found that, as independent variables to predict implementation costs, there was statistical significance for four of the variables set out in the program guidelines but that this was not the case for the ‘types of eligible services’ variable which was, as a result, allocated a weighting of zero in the PwC analysis. 25 With grant amounts of $505,970, $632,513 and $745,122. 26 AGD had advised PwC on 20 May 2016, that there were delays in providing PwC with the final applicant cost data for the funding model, as ‘a number of providers  are withdrawing due to having no obligations in the end, and a number of others are lowering their cost estimates  for a variety of reasons’. AGD further advised PwC that it expected the total funding request to reduce to ‘likely well below $220 million’. 27 Including indexation for budgetary purposes increases the funding from $99.25 million (50 per cent of $198.5 million) to $100.4 million. 28 As outlined at paragraph 1.6, the decision was to implement a grants program to support 50 per cent of the mid-point of industry’s estimated capital costs of implementing data retention, which had a budgeted impact of $128.4 million in grant funding. The published guidelines had identified the program funding as being ‘up to’ $128.4 million rather than as being fixed at the budgeted amount of $128.4 million. 29 See paragraph 2.7. The Attorney-General had observed at that time that funding 75 per cent of industry’s costs would exceed what could be considered either ‘reasonable’ or ‘substantial’. 31 See paragraphs 2.4, 2.7, 2.8 and 2.18. 32 For example, one of the providers awarded a grant calculated as 80 per cent of those costs reported actual costs that were significantly higher than estimated with the result that the grant represented 45 per cent of its reported costs. 33 The assessment of this application had observed that ‘costs associated with [the provider’s] plan are notably higher than for more complex plans of larger scale and scope elsewhere in the industry’. 34 AGD records outline that it was concerned that approaching more than two candidates would delay the progress of the procurement, and ‘there is some urgency in obtaining these services, as there is a need to provide funding to the industry as soon as possible, to allow the industry to begin constructing data retention solutions’. The deed ACBPS signed with PwC in August 2013 included ‘quality assurance services’ as one of the contracted services. The deed also stated that other Commonwealth entities could procure the contracted services using the ACBPS panel. 35 The other four priorities were: finalising application assessment procedures; development and implementation of staff training in relation to assessment, administration and compliance procedures; monitoring of staff training; and finalisation of program governance/reporting structures. These four priorities were completed through the finalised grant program guidelines and the MOU with DIIS for grant hub services. 36 The Plan was to address: data integrity checks by AGD over information inputs to the funding model calculations; validation and exception testing by AGD of funding model outputs/calculations; sample and exception testing of funding calculations; and roles, responsibilities and timeframes for AGD personnel. 37 The Assurance Plan timeframe involved the envisaged Compliance Plan being finalised in January 2016 but the MoU relied upon by AGD was not signed until 22 February 2016. 38 The original procurement involved AGD inviting quotes from six of the 32 suppliers on a Department of Communications panel with two responses received. There were then two extensions of the originally contracted work. The total contracted value of these three procurements was $234,140. 39 For the costing procurements, the July 2014 deed between PwC and the then Department of Communications and, for the fourth procurement, the August 2013 deed between PwC and Australian Customs and Border Protection Service. 40 Communications Alliance is a telecommunications industry body. Its membership is drawn from a cross-section of the communications industry, including carriers, carriage and internet service providers, content providers, equipment vendors, information technology companies, consultants and business groups. 41 On 10 April 2017, the provider that received the second largest DRIGP grant reported to DIIS that amounts payable to the vendor with which PwC has a strategic alliance ‘make up a large portion of our costs’. 42 AGD again used the Department of Communications panel, this time seeking quotes from five of the 32 firms on the panel. Three responses were received. The contract value was $114,815. 43 The ANAO’s analysis was that PwC’s work was not completed by 30 April 2016 and, the contract was extended to 30 June 2016, a period of 5 months. No corresponding action was taken in relation to PwC’s conflict of interest undertaking. 44 Similarly, the MoU that AGD signed with DIIS stated that there would be ‘mandatory COI disclosure and management provisions’ for the Independent Consultant. 45 In January 2016 PwC had proposed to AGD that applicant data be de-identified. On 25 February 2016 AGD provided PwC with data for all 210 applicants and later that day advised PwC that it had ‘forgot to remove the company names’ and asked PwC to ‘disregard’ this information in its analysis. Later submissions of datasets to PwC did not identify the applicant (but this could be ascertained by comparing the dataset provided on 25 February 2016 to later versions of the dataset as the unique identifier – the application number – was included in all versions of the dataset). 46 The Commonwealth Grant Rules and Guidelines require officials involved in the development of grant opportunity guidelines to complete a risk assessment of the grants and associated guidelines, in consultation with the Department of Finance and the Department of the Prime Minister and Cabinet. 47 The assessment involved consideration of proportionality (the grant amount) as well as project/activity characteristics (grant amount per gigabyte of storage, grant amount per subscriber, grant amount as a proportion of revenue, and gigabytes of storage per subscriber). 48 A grant agreement was entered into with 26 of these providers. 49 By that date, 53 agreements had been signed by the funding recipients, with 20 of those agreements executed by the Commonwealth. 50 For example, some agreements identified the funded activity as training to be delivered under the Skilling Australia’s Defence Industry (SADI) grants program administered by the Department of Defence. This program finished at the end of 2015–16. 51 This is in contrast to those 86 recipients who were asked to re-sign a reissued funding agreement after receiving their first grant instalment payment, where the delay between the decision to reissue and the recipients re-signing was an average of 40 days. 52 Paragraph 2.40 refers to 26 providers where the grant fully met the provider’s reported actual costs. This comprised 11 providers that reported their actual expenditure the same as the grant amount and 15 providers that reported actual expenditure less than the grant amount, which led to AGD reducing the grant amount to match the amount of reported expenditure. 53 A separate Declaration of Compliance from the grant recipients was to be provided ‘on achieving compliance with the Act’. 54 Instead of attaching documentation as was required, 17 referenced the separate Declaration of Compliance. 55 Both of the remaining two providers for which a funding agreement was signed are being investigated for defrauding the Commonwealth in respect to the funds they had already been paid.